Paraffin is applied to the canvas for a unique texture that grows, and a fit that gets more comfortable as you use it. 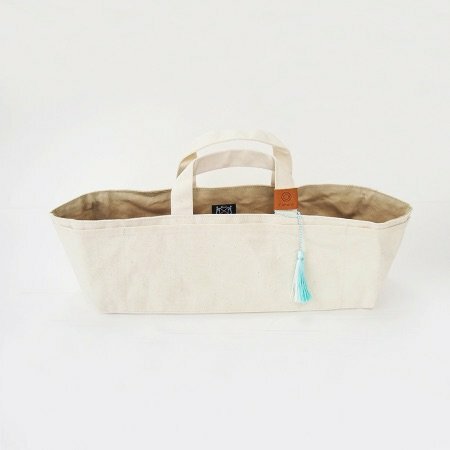 The tote has a flat bottom—it won’t tip over. When empty, it folds flat for storing… but it’s hard to imagine that it will ever be empty! 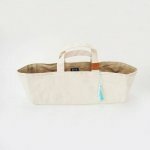 There are outside pockets all around the tote that can be used to hold all sort of thing. The next video shows you other lovely notions made by Cohana, & the pin cushion rings (warm & cool) by Brooklyn Haberdashery.